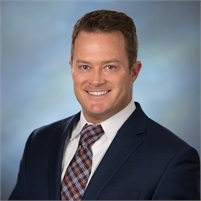 With over 15 years in the Financial Planning Industry, Erik M. Potts CFP®, RICP® is the founder and President of Panorama Wealth Strategies LLC, located in Exeter, New Hampshire. Erik graduated early from Bentley University with a Bachelor's Degree in Finance with a concentration in Financial Planning and Investments. Erik began his career with Baystate Financial, helping clients to develop investment strategies. After working with Baystate Financial for over 11 years, Erik has taken his practice to an exciting new level. 2014 has brought the establishment of Panorama Wealth Strategies, an independent comprehensive financial planning firm where Erik can offer an experienced opinion of the financial world, helping his clients to carefully navigate today's complex financial markets. This exciting new endeavor has brought an opportunity for Erik to work with a selective group of clients to help plan, grow, and preserve their financial wealth. Erik has a passion for all things active. He is a member of the Porsche and BMW Car Club of America where he performs on the track. Off road, Erik competes in Rally America, American Rally Association and National Auto Sport Association (NASA) Rally Events as a competitive driver frequently finding himself on the podium for these events. With a family tree of avid Porsche and car enthusiasts, so stems the PANORAMA Brand. (Check out The PANORAMA Story for more) Erik is a private pilot and enjoys being a part of the local aviation community and experiencing New England from an aerial view. Erik is very involved within the Seacoast Community. He takes part in many of the Seacoast Road Races, as well as other local athletic events. Erik volunteers with local non-profit organizations, he also has previous service with the Big Brothers Big Sisters Organization. He enjoys giving back to the community and spending time with family and friends. In order to keep his current securities and licenses as well as provide expansive products and services to our clients, Erik is dually registered as an IAR (Investment Advisor Representative) with Panorama Wealth Strategies LLC., and Cambridge Investment Research Advisors, Inc. He is also a Registered Representative with Cambridge Investment Research, Inc. (Cambridge) a member FINRA / SIPC . Cambridge Investment Research, Inc. is a privately owned, independent broker-dealer which allows us to offer an unbiased outlook on the financial world with our main goal centralized around client specific financial planning, insurance, and investment needs.